Capt. Alejandro is a charter operator Fishing in Buenos Aires, and he works with local captains in Buenos Aires to provide a truly first-class angling experience. This results in a highly experienced wholesale charter that offers some seriously superior customer service. 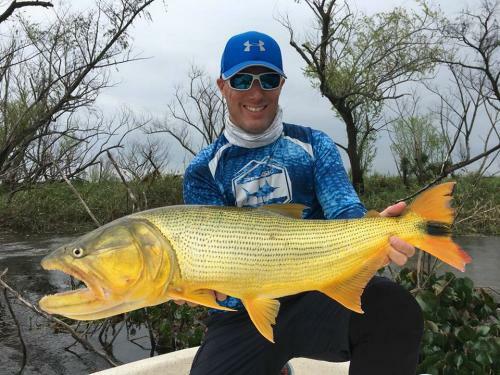 Your every travel need will be taken care of - as well as every detail of your trip - to make sure that you experience the angling adventure of a lifetime! To add to this, the charter is a local organization that was created to provide fishermen from near and far with unforgettable fishing experiences, excellent service that exceeds every expectation, as well as contributing to the sustainability of various fishing destinations. Each fishing guide on the charter is a local experienced angler. They've have been exploring the area and Dorado fishing itself for an impressive amount of time. They love nothing more than introducing anglers of all ages and abilities to this incredible fighting fish!